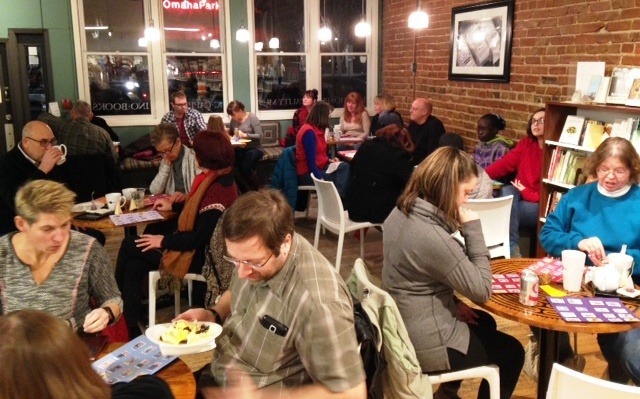 45 people played Mexican Bingo (Loteria) and eat great food on Jan 10. OTOC has been Urban Abbey’s non-profit partner during January, 2015!! 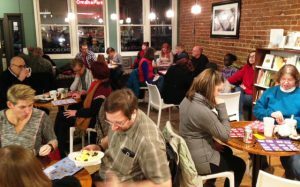 Over 110 people have come to the first 3 sessions where they learned about Immigration Reform, Medicaid Reform and enjoyed a fun evening playing Mexican Bingo (Loteria) and meeting new friends. Every cup of coffee or tea, smoothie, sweet treat or bag of coffee that we have purchased during January will result in a contribution from Urban Abbey to OTOC to continue our work making Omaha a better place for all families live.Read More . . .